Thanks for sharing this tutorial. I want to implement this with communities, Auditor__c (Lookup of User object) works only for internal users. Is there a way this can be done for Partner users_? It will work for both internal and communities. Make sure that you have correctly setup OWD for External and Internal Users. But the Lookup icon only works for internal users. If you have created a custom Lookup Field (User) then it will allow you to select partner user. Probably I’m going off topic right now. Is there a way to identify if a user is a community user and send that information to the contact? I’m kind of new on SF XD. When you create a portal user is coming from a contact. How can I related a Contact with the User? using $User.ProfileId ? Use this field to identify if a user is Partner user or internal user. This is SUPER helpful for custom objects, but does it work for standard objects? I need to share an opportunioty based on a custom usier field on the Opportunity. 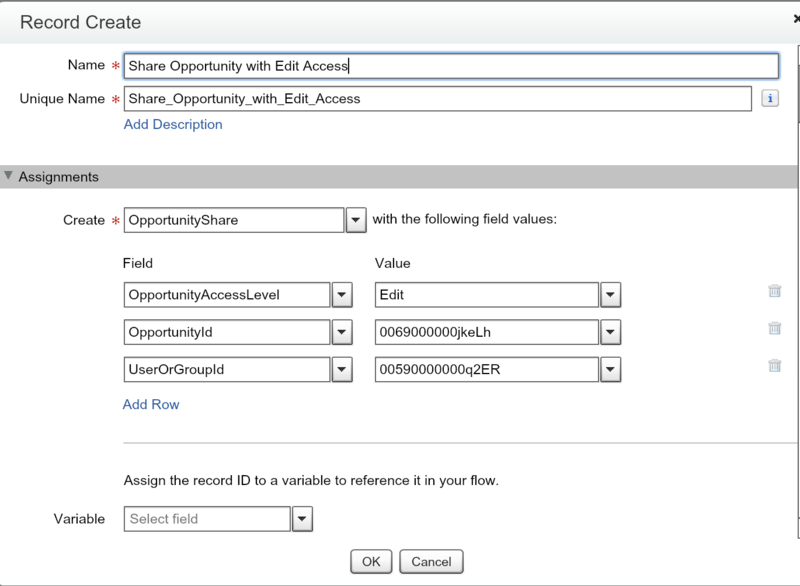 The user field (and any other lookup field) is not available in the Opportunity Sharing Rule interface, so I was going to use this method to share it instead, but there is no Apex Sharing Reason option on the opportunity. So …. what are my options? Will creating a formula field on the opp make it possible to set the sharing rule using the standard sharing rule interface? Glad to hear it, Rebecca!. Yes, this solution will work for almost all standard and custom objects. You have two options, either select manual, something else for (Row Cause) or leave it blank. I have one doubt, suppose user A is an auditor for the audit records, so he can access the records according to the logic, but suppose admin update the auditor field from user A to user B, so my question is still user A will be able to access those records for which he was the auditor? If yes then how can we restrict his access ? In that case, you have to write logic to remove user A from Sharing table. Thanks for this post on Flows and Process builder to share records. One quick question – I’ve a requirement at my org it is that I should share a record which has multiple user details in under one record and which is divided into 10 different departments each one having 3 empty text boxes(10 x 3 = 30 columns) for the record creator to fill in the user details and its SObject is a custom object and its sharing is set to private. 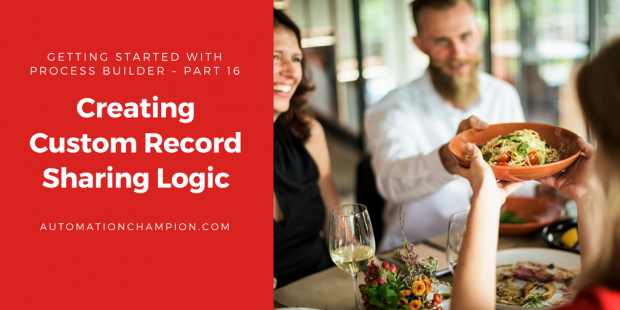 The record couldn’t be saved because it failed to trigger a flow. A flow trigger failed to execute the flow with version ID 301O000000058na. Contact your administrator for help.” I’m trying to input certain inputs for a particular out of the ten say for example I give inputs for HR dept alone and keeping the rest null but the process builder doesn’t accepts it and throws the above error. Please help me on this. Can you please post the detail screenshot of Flow, Process and Test record ?